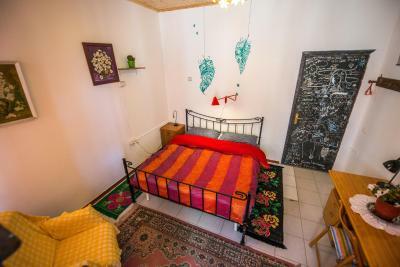 Lock in a great price for Shkodra Backpackers Hostel - Mi Casa es Tu Casa – rated 9.2 by recent guests! The hostel is in a great location next to the pedestrian walk. We had to find parking on the street and walk a little but we always ended up finding a place nearby. We left early in the morning, so they kindly made us a pack breakfast to go with boiled egg sandwiches! Our room was very spacious and clean and there were multiple nice bathrooms. The staff is very helpful about what to do in the area. Exceptionally clean, great interior decorating, an amazing breakfast with something new every day, and very helpful, friendly staff. I booked two nights and somehow stayed almost a week. The dorm has lockers, beds have curtains and personal outlets, blankets are warm. The bathrooms always have enough toilet paper. Good location in the center. The owners and the staff was amazing and very welcoming. Breakfast is so good, one of the best best I ever had. Very clean. Loved the dogs wich are stray ones saved from the street. Helpful staff, super cozy community room, amazing breakfast, good location... Everything is great! Staffs are great and friendly. They are very helpful when it comes to information and arranging the transportation for the hikes. Location is good, walking distance to bus station. Didn't get to try the breaksfast buffet as I had to leave early at 7am but saw them putting Soo much of effort preparing since night and waking up at 4am. It is funny how some are still leaving bad comments for bfast when it is supposed to b free and out of their good will. Since I had to leave early I was given a huge sandwich to take away. Sufficient toilets and clean. Common areas are big. Lockers are provided but if u need padlock some deposits are there. Kitchen facilities are adequate and equipped. 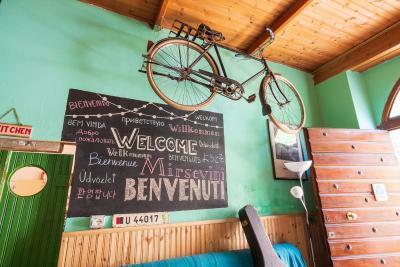 We expierenced the utmost hospitality in this beautiful Hostel. Everybody was very helpful and the atmosphere was simply cosy and lovely. The facilities were more than complete and the staff advosed us on the trips and sights in Skodra. You can even rent bikes from the hostel to see the beautiful surroundings of Skodra. The breakfast was very good, diverse and fresh (all out of own garden) and we just loved our stay in Skodra. 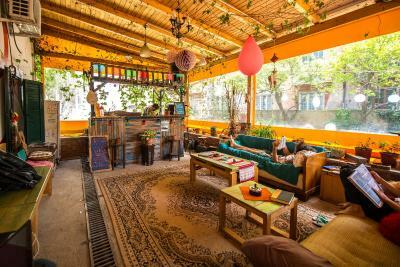 We very much enjoyed our stay and would definately recommend this hostel for a trip in Albania! The price was more than right and we look forward to our next stay in Skodra. Mi casa es tu casa has a great vibe. Very easy to meet people and have good conversations. Breakfast is nice and the staff are even nicer! Great courtyard, helpful staff, map and lots of information when you check in. Helpful in arranging Valbona to Theth hike. Normal breakfast is good but the packed breakfast for early mountain departing people is a joke (sandwich w a small amount of tomatoes, cucumbers, and maybe half a boiled egg) so def buy your own breakfast and take snacks. 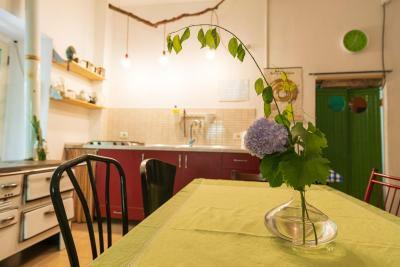 Really good location, clean dorms and bathrooms, nice atmosphere and decoration. Friendly hosts. Beautiful interier. Best breakfast. One of our best sellers in Shkodër! 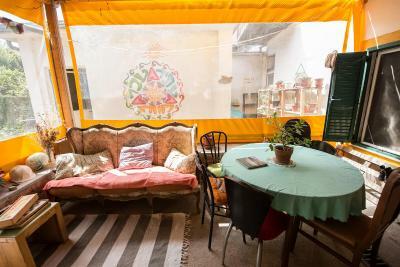 Located in the center of Shkodër, Hostel Mi Casa Es Tu Casa offers a shared terrace with free-to-use barbecue facilities. Free Wi-Fi access is available. All rooms are equipped with air conditioning and a work desk. Towels and linen are included in the rate. Shared bathrooms fitted with a shower are available. A common kitchen with a dining area is at the guests' disposal. 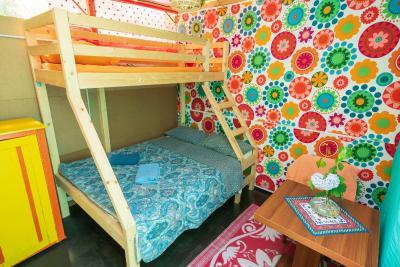 Hostel Mi Casa Es Tu Casa has a tour desk, luggage storage and a laundry service available. 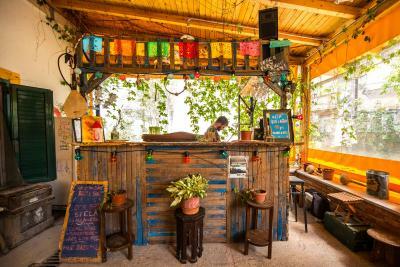 Various restaurants and bars, as well as a local marketplace are within walking distance. The Main Bus Station is 350 feet from the property. Tirana Airport is 47 mi from the property. Free parking is provided on site. 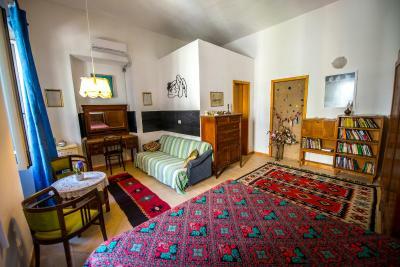 This property also has one of the top-rated locations in Shkodër! Guests are happier about it compared to other properties in the area. 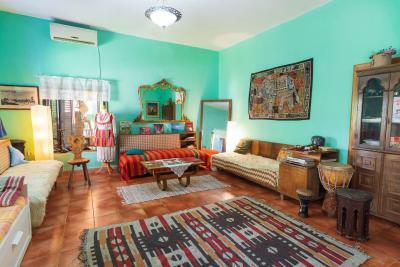 뀐 Located in the top-rated area in Shkodër, this property has an excellent location score of 9.7! 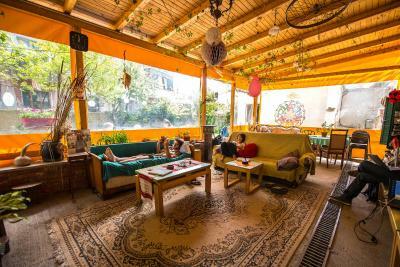 When would you like to stay at Shkodra Backpackers Hostel - Mi Casa es Tu Casa? 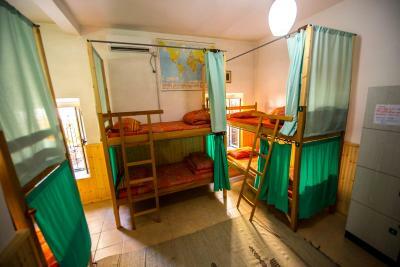 A bed in an 8-bed dormitory with air conditioning. Towels and linen are provided for each bed. Guests have access to a shared bathroom. 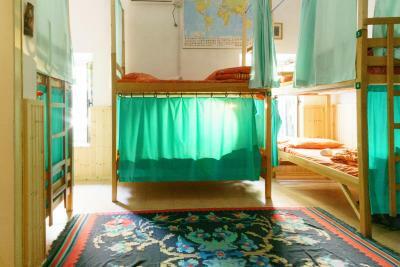 A bed in an 8-bed dormitory with a cooling fan. Towels and linen are provided for each bed. Guests have access to a shared bathroom. The room is air-conditioned. Towels and linen are included in the rate. 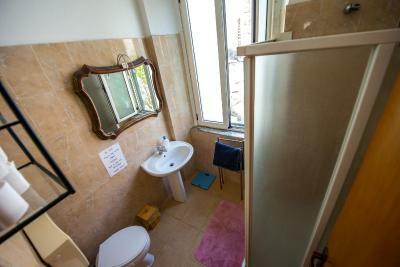 A shared bathroom is at guests' disposal. This suite offers vintage furnitures with a seating area, library and a desk. 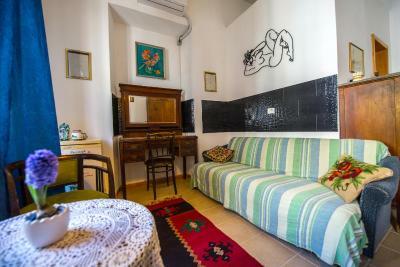 It consists of a private bathroom, with towels and linen included in the rate. 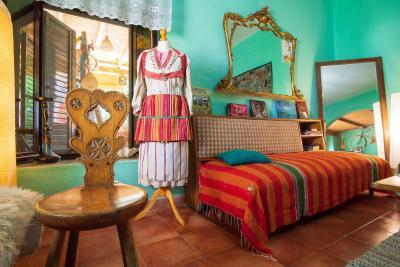 This air-conditioned room offers towels, linen and a shared bathroom. 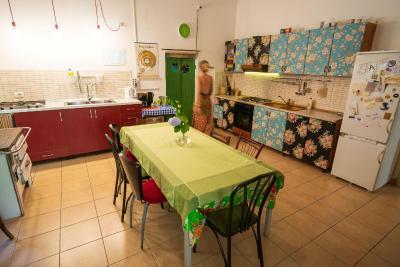 House Rules Shkodra Backpackers Hostel - Mi Casa es Tu Casa takes special requests – add in the next step! 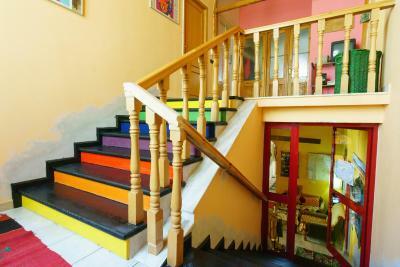 Please inform Shkodra Backpackers Hostel - Mi Casa es Tu Casa of your expected arrival time in advance. You can use the Special Requests box when booking, or contact the property directly using the contact details in your confirmation. There are a lot of super sweet dogs hanging out downstairs, but that does mean there is dog hair on the couches. Very comfortable double room and bed, very good location near the centre, friendly and very helpful staff, good value for money. Hostel arranged a taxi for me to and from Tirana Airport and to Ulcijn in Montenegro and back. I would stay there again without hesitation. Very homely place, and so friendly host Alma and staff. Plus lovely dogs, very pleasant stay. I personally do not mind at all, but if you are an explicit dog hater this may not be the place you will be comfortabel, because there is always a bunch of dogs. They are sweet, though. and Alma has a big heart, also for dogs. 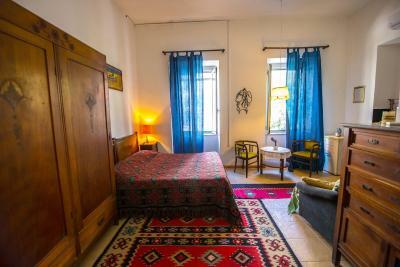 The hostel is to be recommended to everyone who wants to visit Albania and travel on small budget from one hostel to the next. 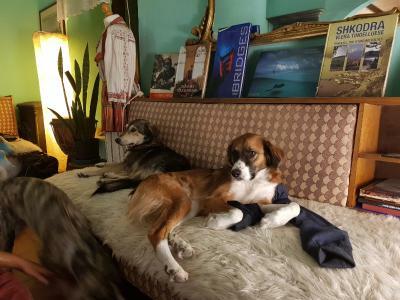 The lady, Alma, who runs the hostel is incredibly helpful and will try to solve all the questions you may have - and be sure you will have questions. 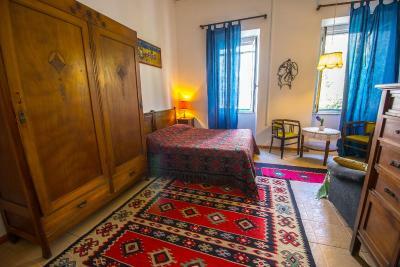 There is a kitchen and the breakfast is all handmade from local products, there is a cosy living room with an oven, which is great in the off season, where Albania is surprisingly cold. 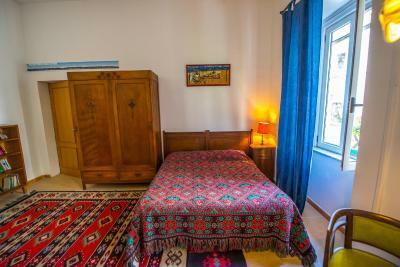 The single rooms are huge and cosy and the bed is super comfortable. You get to meet and know interesting people and the time is always too short and you wish you could stay a little longer. The staff here ( dogs included ) are the best! Great location and amazing home coocked breakfast. Very helpful and friendly staff. Comfortable and warm common area. Nice terrace and garden. Loved the place!! Eclectic and friendly. Backpackers paradise. The staff was walcoming and attentive. A great place to stay if want to go to Theth. Breakfast was HEALTHY & DELICIOUS! Location was PERFECT! Staff was super friendly, knowledgeable, and helpful. Hostel was funky, clean, and extremely organized. To this date February 2019 one of the best hostel experiences in my life. The breakfast buffet was world class! 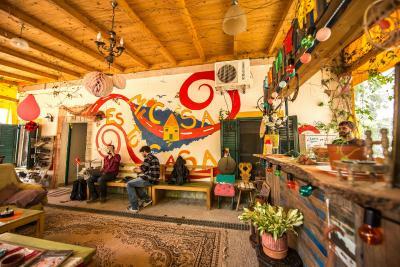 The hostel had a cosy atmosphere and I appreciated that the staff spent time with the guests and gave advice. There were comfortable sofas and a fireplace.